When I was seven-years-old, I boarded my first plane, and I can honestly say, the buzz of being 40,000ft high and looking out of the window for the very first time simply can’t be replicated. However, a few flights later, and the shine starts to wear off. guess it’s something to do with the window being the size of a letter-box, and the fact the wing then takes up 70% of your view. 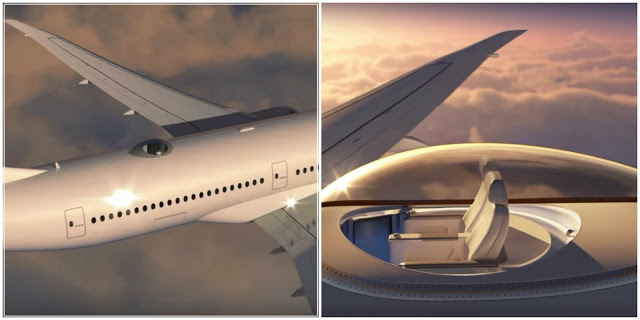 Well, thanks to Wind Speed Technologies, there is now a plane that can offer incredible, 360-degree views, that promises to “kill the boredom of long flights”, and allow passengers to feel like they are on top of the world.